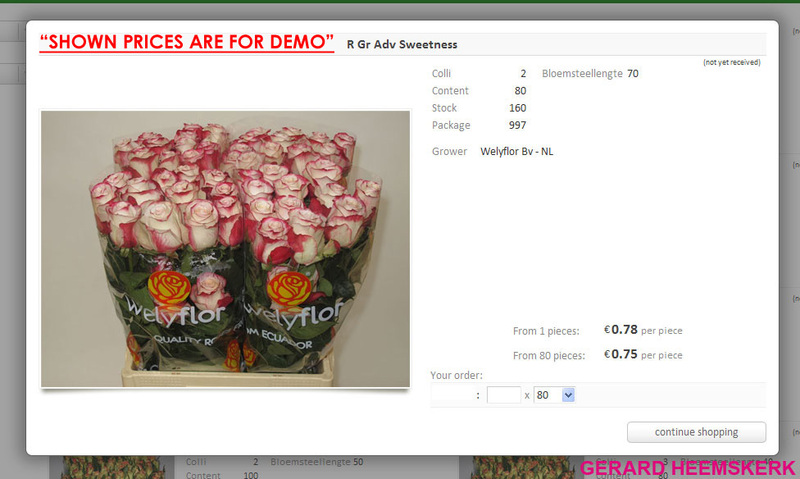 Below are the 5 steps to easily and quickly order in the webshop. 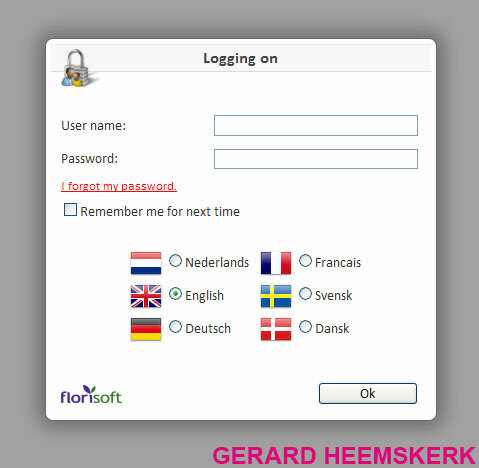 Select your preferred language and enter your username and password and click OK.
Do not have a login code? Click here to request one. Click to enlarge Once you are logged into the shop you will see a list of our supplies and offers. Once you click on a stock it shows the current stock of that category. 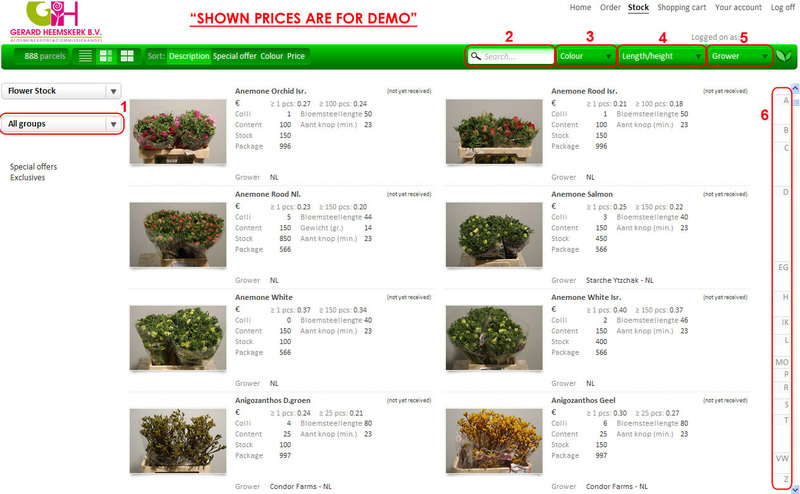 Once the desired product is found, click the desired product and the product will appear in a pop-up. 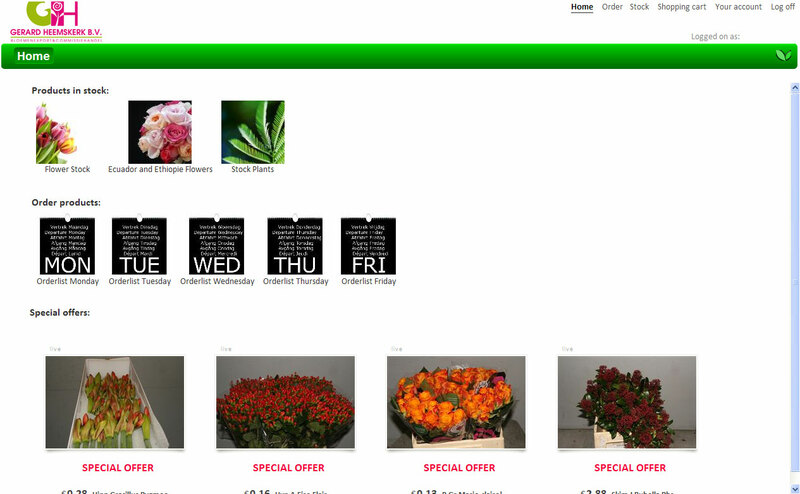 This screen shows all the characteristics of the product and enter the desired quantity you want to buy. If the quantity is entered, click Continue Shopping. The process is repeated until all desired products are purchased. Once Continue shopping is clicked, the product is purchased directly. Once all desired products are purchased, go to the Shopping Cart to complete your order. You can also enter any comments regarding your order. Have you checked your order? 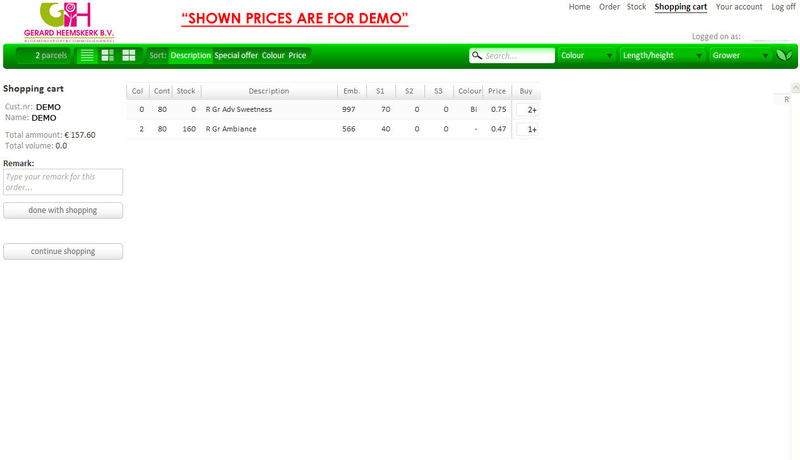 Click Done shopping to finalize your order.